One part of project management that managers often neglect is an evaluation after the project is over. Sometimes the next project starts immediately, and there isn’t time for evaluation in the project management environment. Maybe some team members move on to other positions within the company or transition to another company. Or maybe your company hasn’t done evaluations in the past, and no one realizes that it would be beneficial. In reality, evaluation skills in project management are essential to the project management process if your team wants to improve for the next project and other future endeavors. If you don’t take a serious look at the details of your team’s performance on a project, you are leaving any improvement to chance. In any project, mistakes happen and things go wrong. Evaluating the project will help your team focus on where it made mistakes and on what went wrong, to learn from these situations and do better on the next project. As the team evaluates each project, it should be able to perform better each time. Other aspects of the team’s performance can also be evaluated to show ways to improve, including how long each part or step of the project took and the costs of the project. The more efficiently projects can be completed, the better it will be for the company. 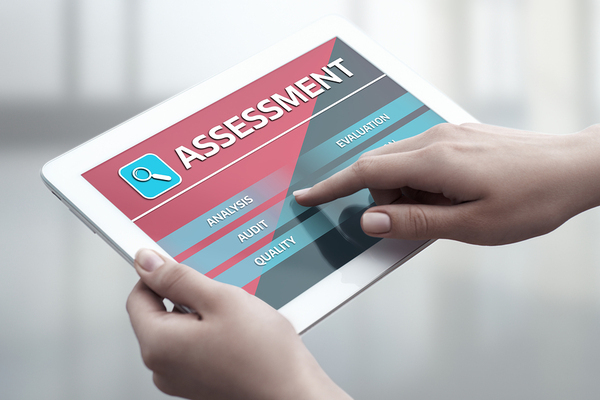 Assessments by team members and clients will reveal areas that can be improved. Another way to evaluate the project is to ask the client to complete a post-project survey. It’s always good to get the client’s perspective on how things went, because it can be very different from yours and the team’s. And as the saying goes, the customer is always right. At the very least, their perspective will help you understand your team performance better and needs to be considered. As a project leader, it is generally helpful to evaluate your own performance on the project, and see where you may be able to improve your skills in delegating tasks, communicating with team members, and other aspects of leading the project. Improving your own skills will improve the performance of the team overall. You may decide to make your self-evaluation part of the documentation of the overall project, or keep it to yourself, depending on how in-depth and personal it becomes. Some companies hire or use an independent party to conduct the evaluation. An independent evaluation can be beneficial for forming an unbiased view of the team’s performance. Self-evaluation is valuable, but independent evaluation is also valuable in a different way. Whichever forms of evaluation are used, there should be written documentation so that the team, as well as all pertinent supervisory staff, can have access to it. Evaluation can also help with how to foster effective teamwork in future projects. Florida Tech offers project management degrees that train students to manage complex projects effectively. Learn more about our project management degree program and how it can help you become a top-notch project manager that can handle any project.